After practicing for several years with a local business law firm, Marshall Newton joined Gignilliat, Savitz & Bettis in 2016. She has a unique blend of experience helping clients with both litigation and transaction needs, and now focuses her legal career on employment litigation defense and counseling. As a former law clerk to the Honorable James R. Barber, III, in Richland County, Marshall is experienced in litigation and state court proceedings. She has also represented clients before the United States District Court, the Equal Opportunity Commission, and the South Carolina Human Affairs Commission. Marshall is a graduate of Wofford College where she was active in many campus organizations including being elected to serve every year as a class representative in student government. She earned her Master’s degree in Mass Communications before attending law school and earned both degrees from the University of South Carolina. 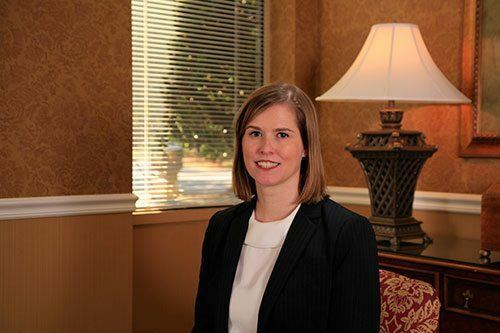 Since graduating law school in 2010, Marshall has been active with the South Carolina Bar Young Lawyer’s Division, serving for several years as the chair of the Publications and Marketing Committee and co-editor of the award-winning Division newsletter. In 2015 she was awarded the President’s Award for her YLD service. Marshall has also served on the board of Columbia Opportunity Resource and is a volunteer through the Junior League of Columbia.